Approaching the mountain from the perspective of mountaineers, rather than tourism agents, Team Kilimanjaro have an understandably unique way of looking at the mountain and are frankly critical of some of the methods that were employed in the original route selection of the six KINAPA-sanctioned trails. The traditional route and all variations on this route (used by all other operations except Team Kilimanjaro) either effectively straight-lines the navigation from the start point all the way to the summit, (via 3rd Caves) or simply dog-legs from second caves to Kibo Huts via Mawenzi Tarn. Neither of these options make anything like adequate use of the topography to exploit the essential climb, high sleep low principle of safe and thorough acclimatisation. Reputable operations that use the traditional route regularly report summit success rates of only around 50% on the Rongai Route. Conversely, Team Kilimanjaro led some 13 expeditions along our own TK Rongai Route (ie the route’s 11th variation) before our first climber failed to reach the summit of Kilimanjaro, making our unique route by far the safest and most successful on the mountain. We are unable to publish details of our route online or will risk a surge of across-the-board interest that we feel will compromise its status as the quietest route on Kilimanjaro. Sometimes called the ‘Shira Plateau Route’ the normal route (used by some 95% of operations) has been designed to intersect with Machame from east of the Shira Plateau onwards. 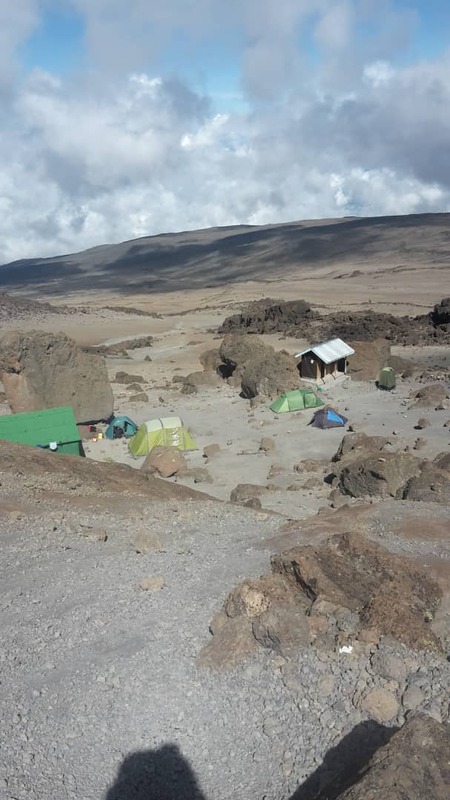 This causes crowding at Barranco, a camp which serves 4 of the 6 routes, and places a severe ecological burden on the immediate region during the high season, with as many as 300 climbers and 900 support staff abluting themselves within a few hundred square metres. The climber’s sense of wilderness experience is also compromised during the route’s bottlenecking on the Breach Wall, where more than a thousand people can be required to pass along a trail that is less than a metre wide in places, within some two hours. During the low season, we have no significant criticisms of the route, except perhaps that - as is common with Machame - all the route’s climb high, sleep low differential is attained within a single push and often causes quite severe headaches and nausea at Barranco, a delayed reaction to exposure to 4,642m elevation on day 3. This can only be avoided by either moving round the north side of Kibo (which is possible on TK Lemosho) or by approaching high camp from the east (which is possible on TK Rongai). There is an obvious absence of exploitable topography en route to high camp and inadequate use of the climb high, sleep low principle is afforded. This results in a low success rate, with some 40% of all route users failing to pass beyond Gilman’s Point, and some 20% failing to reach even Gilman’s point. Use of huts on the Marangu Route necessitates crowded living quarters at camps with a) queuing and delays being necessary in the morning due to limited eating space in the crowded mess halls, b) compromised sanitation caused by crowding, and c) several instances of theft caused by climbers having to share accommodation with those they do not know from other climbing companies, being unable to close their rooms, and being watched and targeted by rogue workers sharing the camp. Since Marangu Route camps enforce a policy of distanced segregation between climbers and support staff, porters cannot be tasked with guarding climber’s rooms. Conversely, at camps on other routes, we are able to distance ourselves from others we do not know and during the assault guides are able to post members of the support team as rostered sentries and are therefore able to themselves be responsible for equipment security. In our experience Umbwe has always attracted an unusual calibre of climber with the attraction of this route seeming to be the very fact of it being the hardest route by which to summit, and having some of the poorest acclimatisation facility and the highest rates of AMS. The route is so steep that it uses only two days to reach the same point that is reached in three days on Machame. Now that the Western Breach has been opened for more than a year the type of climber who opts for Umbwe is likely the sort of person who is going to want to assault via the (still very dangerous) Western Breach. 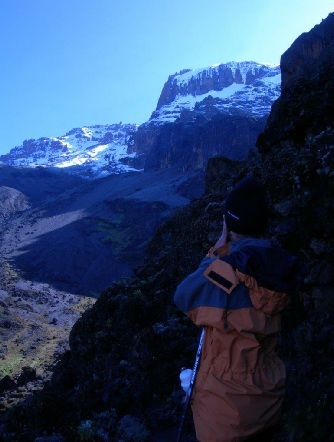 While this combination is probably the most dangerous option available on Kilimanjaro, we understand the appeal and are willing to lead such climbs where the climber making the booking is able to make very clear to us that all those he or she is representing clearly understand the physiological and objective risks of the route. Please note that the Western Breach assault route is indeed open and that the authorities have heeded most of TK’s recommendations regarding its reopening and so have not routed the climb around the east side of the Stone Train (as they planned to do and as we cautioned them strongly against doing - see first video here). However they have not closed off the western edge of the old trail, meaning that there remains a risk of exposure to the same source of rockfall as killed three climbers in January 2006. We are willing to accept bookings on the Western Breach but ask climbers to first read the official accident report and confirm to us that they are happy to accept the stated risks. The Western Breach assault can be combined with a TK climb on Lemosho, Shira, Machame and Umbwe. If only 6 days are available to climb, and climbers understand that there is a likelihood of discomfort at Barranco with the headaches and nausea associated with mild AMS, and that they will not arrive at Barafu with much time to sleep and rest before the assault begins, we have no criticisms of the route and recommend it as the most cost-effective use of 6 days, and with the greatest likelihood of summit success after TK 6 Rongai. We are however, critical of the standard 7 day route as a poor and wasteful use of the additional day and have found over the past few years there is little advantage in spending three consecutive nights at around 4,000m - as occurs on the standard 7 day route - and that a more intelligent use of the additional day is to work harder on day 4 by pushing onto Barafu, and thereby affording a decent night’s sleep at Barafu with the option of a less crowded daytime assault (particularly appreciated by otherwise sleepy children and by those wanting to photograph the assault), or else a pre-assault excursion and rest day prior to summitting. To date, and to our knowledge, we are the only company that uses this methodology and are pleased to report that the advantages afforded by it are most successful. We are able to incorporate both the Western Breach assault into the Machame Route and can also arrange a crater night and excursion - even if the assault is led via Barafu. Another variation on the Machame Route running parallel and to the north of the Lemosho Route, and intersecting Machame at Shira Camp. This route is essentially the vehicle evacuation route for sick and wounded climbers who have to give up before crossing the Breach Wall east of Barranco Camp. It is possible to drive a vehicle to 3,760m to within 30 minutes of the day two camp. Not recommended as walking along a road for two days detracts from the wilderness experience.